Andre Berto is not too happy at the moment and when fight fans hear what it is that is ailing the former WBC welterweight ruler, chances are they will be far from ecstatic themselves. According to Berto, via his official twitter page, Danny Garcia, the current WBC 147-pound king he has been chasing, will instead make his next defence against John Molina Junior. Berto, who insists that at no time did he “out price” himself when attempting to negotiate a fight with Garcia, wishes Molina good luck, but he has accused Garcia of “ducking” him. How fight fans will react if what Berto says proves to be true, we can only guess. The 32-0(18) Garcia – who won the vacant WBC welterweight title with a points win over Robert Guerrero this January, this after a substantial and largely impressive reign as a 140-pound king, included here were top wins over the likes of Amir Khan, Zab Judah and, most impressively, Lucas Matthysse – has not looked great in quite some time. Wins over a terribly over-matched and outgunned Rod Salka, Lamont Peterson (in a very, very close one) Paulie Malignaggi and Guerrero have not impressed the fans and a fight with Molina, 29-6(23) isn’t likely to either. It’s not that Molina is a bad fighter, he is not – but he has fought practically all of his big fights down at 140 and he has won just two of his last five outings. Molina, who is 33 and has been in some wars, scored a good win last time out, when he out-pointed Ruslan Provodnikov back in June, but that win too came at 140. 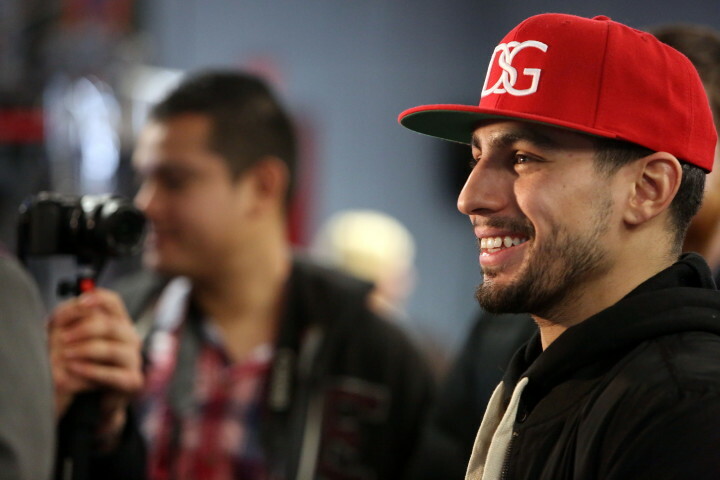 Garcia, who looked a couple of years ago like a future superstar, should really be fighting the likes of Keith Thurman, Shawn Porter or even Adrien Broner, not Molina. The critics were plentiful when word first surfaced of a possible Garcia-Berto fight being in the works; how hight will the negativity levels reach if and when Garcia-Molina is officially announced? Previous boxing news: Gallagher responds to Canelo weight struggle whispers: If he doesn’t make 154 – no fight!